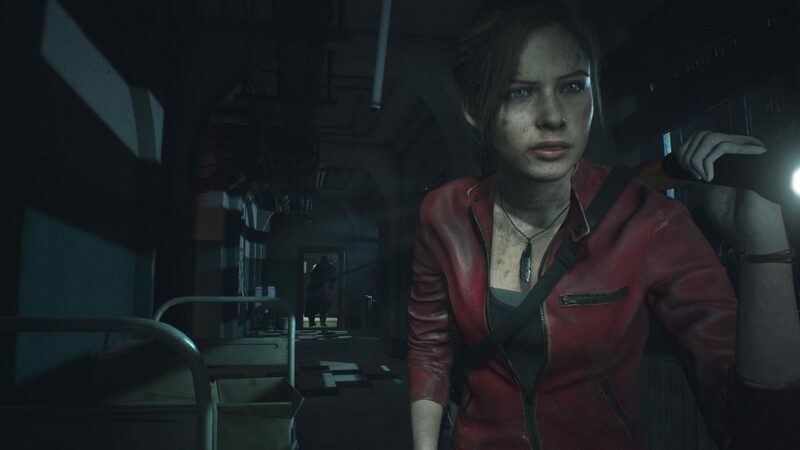 Earlier this year I played 40 minutes of the Resident Evil 2 remake, and I was impressed by just how much care and attention had gone into making it not only a faithful rendition, but also one that would easily appeal to new players and veterans of the series alike. 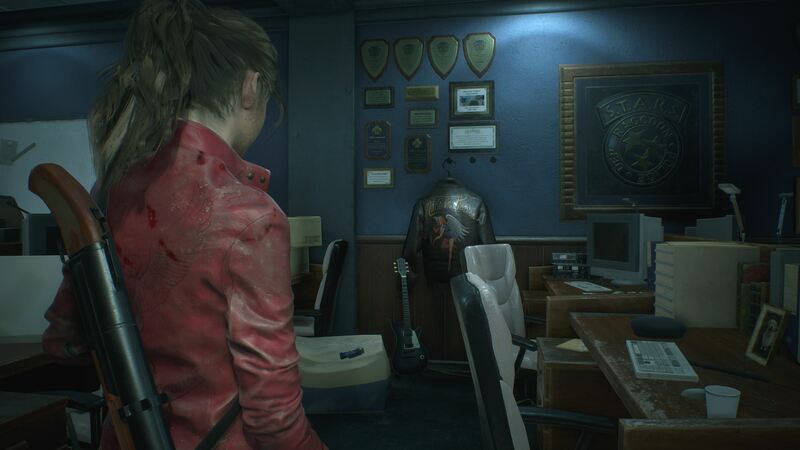 After being invited more recently to an eerie hotel in the heart of London that resembled the RCPD, I got to play a further 3 hours in total of both Leon Kennedy and Claire Redfield’s campaign. I was already sold, but I can safely say that this is an incredible remake, possibly the best I’ve ever seen, and if you have even the slightest doubts about it living up to the original release, you need worry no longer. Not since Capcom’s early Resident Evil titles has any series done horror so well. It feels bizarre to feel that same persistent dread once again – to know exactly what’s coming, but to see it in such an improved way. The visuals are stunning; in particular, the light and shadow effects, as lightening rips across the sky to provide fleeting visibility, or the moonlight glares through windows and highlights a glimpse of what could be either a bloodthirsty zombie or a harmless piece of furniture. Detail in the RCPD is remarkable, whether you’re in the main hall, the car park, or the outer areas with the rain beating down on the ground. 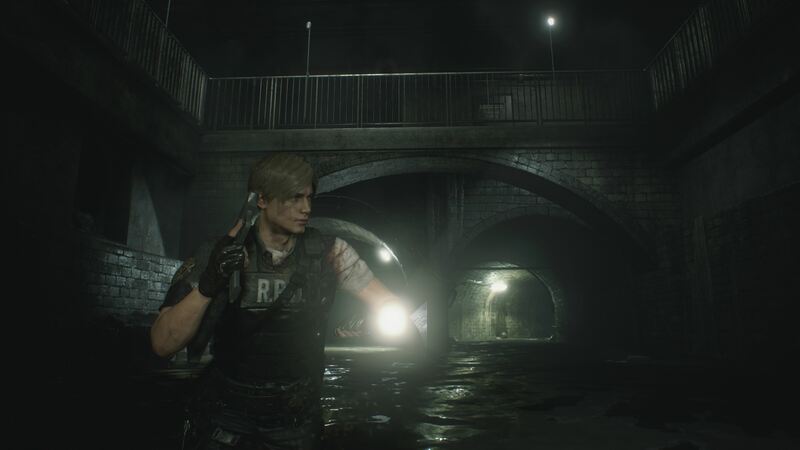 I went into the sewers and saw the famous alligator, met up with familiar faces like Ada Wong and Sherry Birkin, bumped into Marvin post-infection, and spent much of my time running away from the menacing Tyrant (who truly is terrifying, and never gives up once you’re in its sights). It was in these moments, trying to outrun the Tyrant, when I began to realise just how special this remake is. You can hear his footsteps when he’s near but you have no idea where he is, and in one particular section with the crashed helicopter, I almost emptied my bowels and ran for the hills (well, the nearest tube station). There are numerous horror games that attempt to capture the sensation of fear and anxiety like RE2, and some come very close – but in true Capcom fashion, this outdoes them all. Bullets and herbs were so scarce, and I’d be constantly struggling to breathe my next breath in the infested RCPD and surrounding areas. 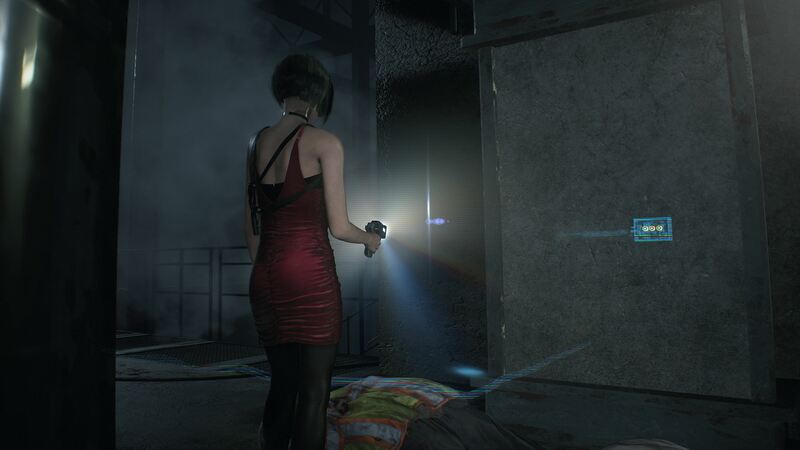 Both as Leon and Claire, I often sank bullets into an enemy’s arms and shoulders when aiming for the head, simply because I kept losing my cool. I found on occasion that even when I was aiming for the head, some zombies took at least six or seven bullets to put down, and when ammo is in short supply, you’ve got to plan whether it’s worth trying to kill them or run away. Nine out of ten times I tried to escape, but then I’d blunder into a room full of the undead, and when I got too close they’d throw their rotten corpses on top of me and try to eat my flesh. Zombies are at their most powerful in greater numbers, but even when approaching just one of them, you’re never safe. It is this vulnerability that makes Resident Evil 2 so satisfying, despite it being scary as hell. Not only was I dealing with zombies, alligators, and that damn Tyrant, I also got to a point where Lickers became a threat. They’re glorified bullet sponges, and I rarely had the ammo to take them out. As Claire, I got to fire incendiary rounds out of a grenade launcher at them, yet even through the roiling flames that engulfed the room, they didn’t always die. It’s an adrenaline rush, that’s for sure. The controls are tight, and I found it easy to get back into the swing of things. You can move whilst aiming, and quick-turning allows for a quick getaway, but when you’re surrounded it’s still tough to evade the encroaching hordes. Your inventory is small, and there are certain items you need for missions, like keys and handles for mechanisms, as well as herbs and bullets and weapons. Managing this can be tough because you need to make sure you’re never low on firepower, but sacrificing a two-handed weapon for health is like the Sophie’s Choice of video games. It’s reminiscent of the original, and will provide newcomers with something they’ve probably never seen before. RE2 never makes it easy, and why should it? Puzzles are similar to the original, but there are new conundrums on top of old ones. I won’t mention them here as I’d rather not spoil them for you, but it gives those of you who never played it on the PSOne to come back and give it a go. There’s a new section called the Orphanage, and new rooms as well, breathing fresh life into the experience. It really is like a new game, and if this is going to be your first experience with Resident Evil, I truly envy you. It’s everything a remake should be: a complete overhaul of visuals, puzzles, and controls that brings it all crashing onto modern platforms. I’ve now spent the best part of four hours playing the Resident Evil 2 remake, and it’s already my most anticipated release of 2019. It looks gorgeous, features everything you loved about the original, but includes loads of new puzzles and locations to make it feel like a new game. Even though I played it to death when it was first released 20 years ago, I was still surprised over and over again, and I was pleased to be reminded just how phenomenal it was. And with the release date now so tantalisingly close that we can almost smell its fetid stench on the air, anticipation is at an all-time high. What a time to be alive.